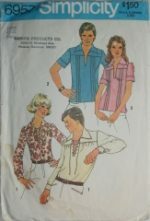 1970s “Jiffy” Simplicity Sewing Pattern in Size 14. Warm or Cold Weather Style. Bodice Detailing – Side Button Closures, Criss Cross Straps. Long and Below Knee Lengths. Cut, but unused. 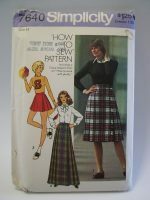 Patterns and instructions in near new condition. Envelope in very good condition for age. Small water spots and wear on edges and corner. 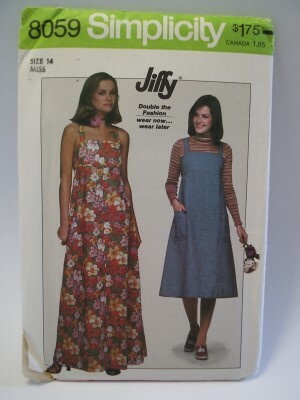 Note: Sizing measurements have changed since 1977. Photo of measurement charts on the back available on request.